A while ago, several geologists started wondering if the impact humanity is having on Earth isn’t so big, that despite its relatively short duration, we should consider living in a distinct geological era marked by this impact – the Anthropocene. Of course, aside from supporters, there were those who only gave a condescending smile or were ever ironic, but the arguments are starting to stack up. 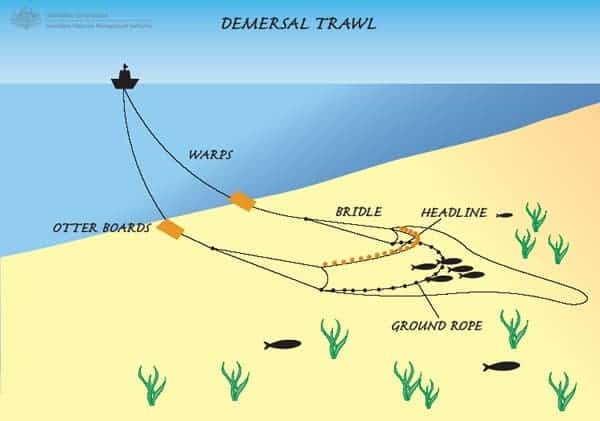 Most modern fisheries partially rely on trawling – dragging huge nets across the sea floor in order to capture species of fish and crustaceans. But aside from the massive damage this method is doing to the environment when applied excessively, it’s also having another side effect: it is leveling the sea bottom. The situation has been likened to excessive farming. He and his colleagues analyzed the impact of bottom trawling after noticing in 2002 that the technique was stirring up more sediment than all natural processes together. What they found was that 5,378 metric tons of sediment moved this way over the course of 136 days of monitoring only in an undersea canyon in Spain – and trawling has been going on since the 70s. The effects this leveling is having on bottom sea creatures is still unknown, though all indications point towards a reduction of biodiversity; basically, you level it and destroy unique habitats, you also destroy unique creatures. More extensive studies will likely be conducted in the nearby future, especially to estimate the amount of damage caused by ocean bottom leveling.